Bid on a 7 Night Stay in a 1 or 3 Bedroom Suite at The Christie Lodge in Avon, Colorado! The Christie Lodge in Avon, Colorado - 2017/2018 - Buy a 7 Night Stay in a 1 or 3 Bedroom Suite! 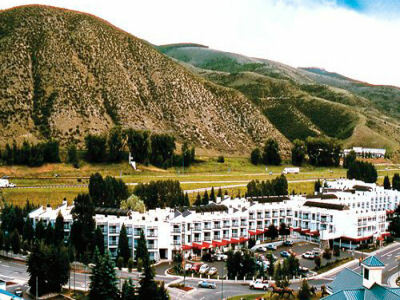 Enjoy 7 Nights at The Christie Lodge in Avon, Colorado! Colorado winters are better spent at the Christie Lodge. The Beaver Creek ski area is five minutes from the resort, offering 1,500 acres of powder with a vertical drop of 3,340 feet and a top elevation of 11,440 feet. There are 33 runs in all - the longest is nearly three miles. Vail is only eight miles away and offers the largest single ski mountain system of trails and open bowls in North America. Summer activities abound with hiking, golf, Jeep touring, kayaking, river rafting, biking, and more. And back at the Christie Lodge, you'll enjoy either a stylish one- or three-bedroom suite with a fireplace and all of the other comforts of home. The Christie Lodge offers 280 spacious suites, all with patios or balconies. Each condo features a kitchenette, dining table, fireplace, queen-sized bed, queen-sized sleeper sofa, child size daybed, television, telephone, and complimentary wireless Internet service. All rooms are non-smoking. Smoking is permitted outdoors. 1 Bedroom Suite: (maximum occupancy 4) have 1 bath, a partial kitchen, 1 queen bed, and 1 sleep sofa, and they are most comfortable for a maximum of 2 adults and 2 children. 3 Bedroom Suite: Sleeps up to 8, and comes with partial kitchen. * Units have no air conditioning. There are many steps throughout the property.A US$100 security deposit or credit card imprint is required upon check-in.Please note that the resort strictly enforces its maximum occupancy limits and that there is a US$.55 charge for all local phone calls.